I'm not one for doing the whole 'single-of-the-week' thing. I'm far too disorganised and my blogging is a bit sporadic for that kinda commitment. 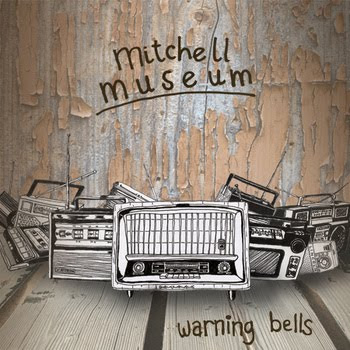 That being said, you'd be very hard pushed to find a better one this week than the new (and proper debut) single by Glasgow's Mitchell Museum. Out today, "Warning Bells" is bloody good, though I wouldn't expect anything less from Cammie, Kris, Dougie and Raindeer. If you like what you hear, then the single itself can be bought from the links here, which also includes the cracking video. Keep your eyes peeled for their debut album "The Peters Port Memorial Service" which is released on 12th July.